Haven't posted here for a while, I lurk a bit, but saw this in a shop locally to me so thouht it might be of interest, looks nice to me and not a make I can recall hearing anything about back when I started, I was tempted but don't have the space and don't think my problematic back would appreciate a rigid ride these days. I must not buy more bikes. 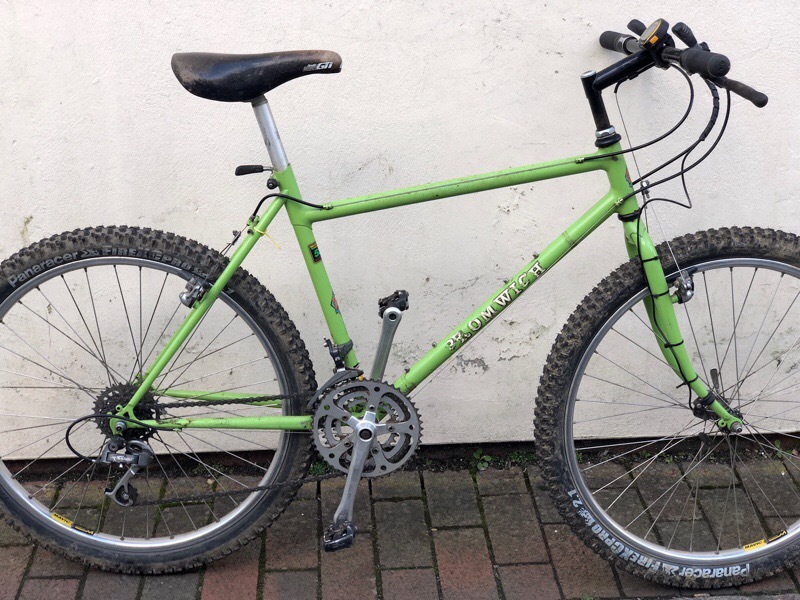 Yep, was very close to buying this but even though I'm 5'10 its probably a bit small for me, even in 90's stupidly long-seatpost-megalong-stem-standards plus its a trek from Bristol .